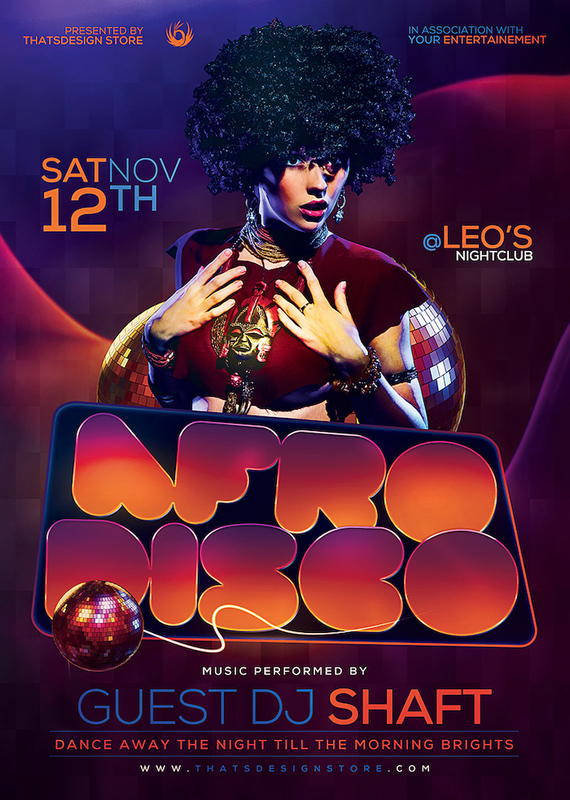 Model: Double click on the smart object layer “Double-click to edit”, place your picture on the newly opened window and save. Color: On the Adjustments layer group, find the layer « Hide to change color » and hide it. 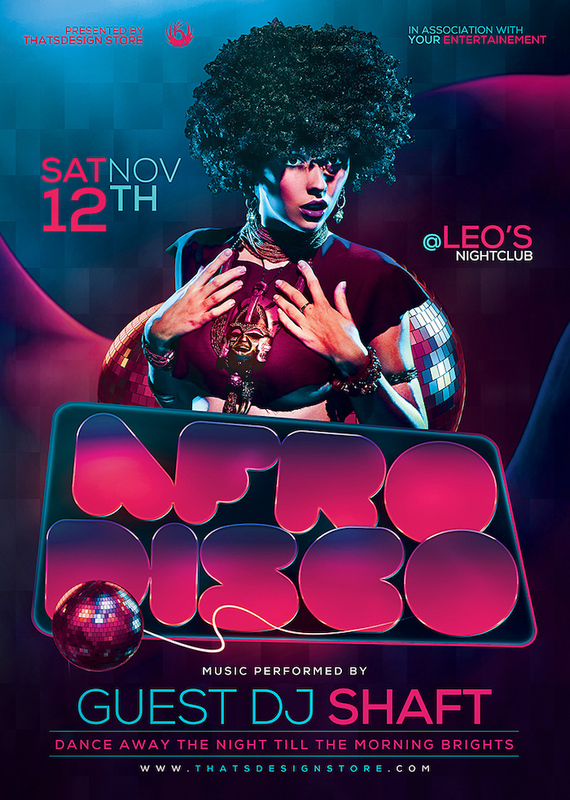 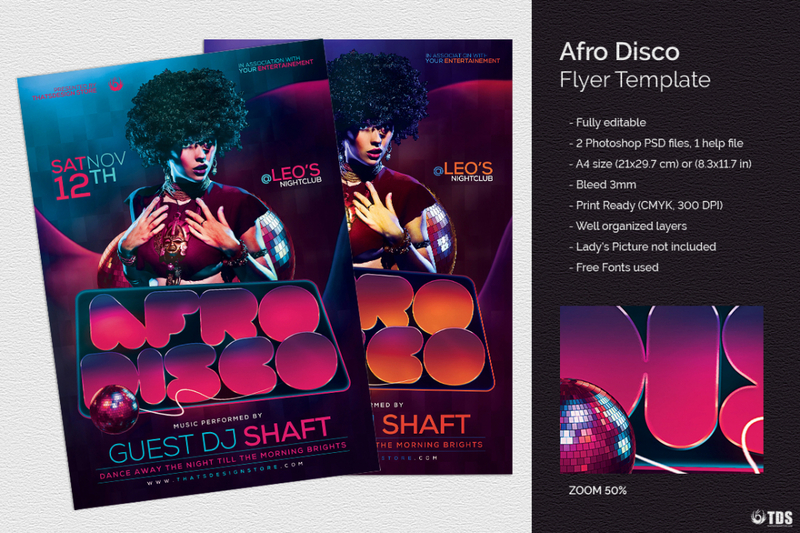 Groovy Afro Disco Flyer Template is Perfect for any Saturday night fever, Remember, Disco, 70’s, 80’s, 90’s and Revival Special Afro party. 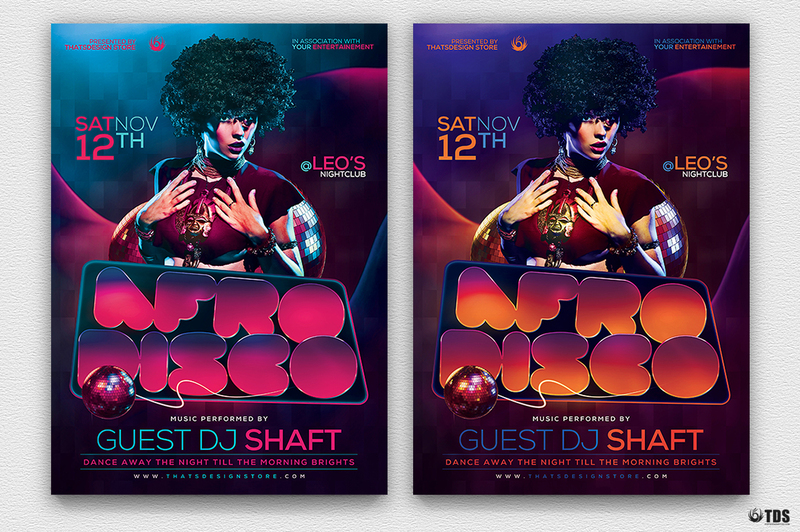 This Customizable Photoshop psd flyer design, is also suitable for a Neon, Fluo night or even a flashback Dj set.